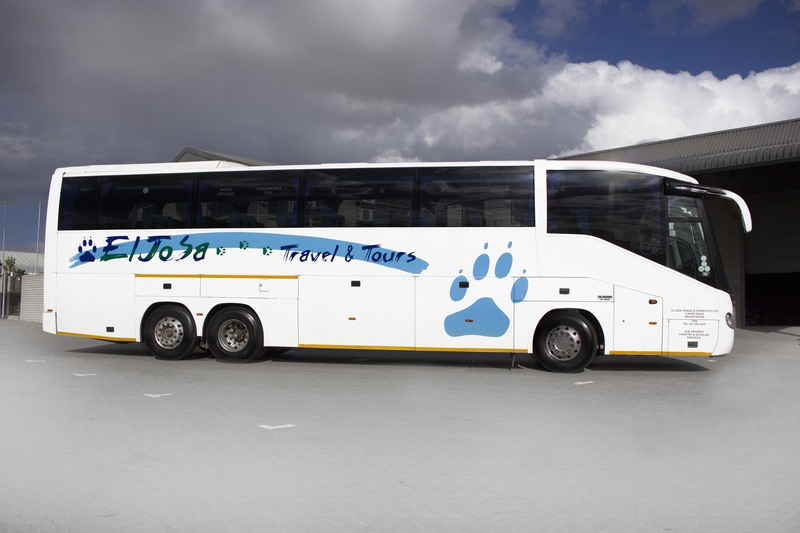 ElJoSa Travel and Tours – Family owned business established in 2004. 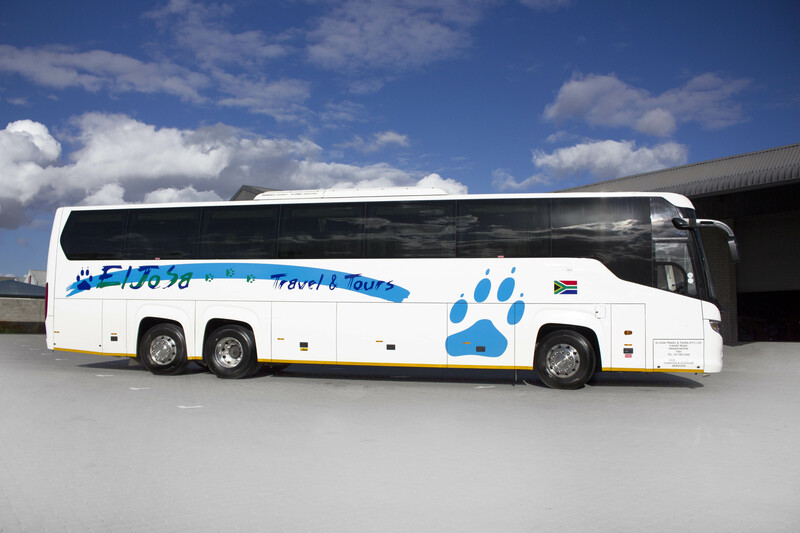 We operate from Cape Town in the Western Cape and Gauteng, South Africa. 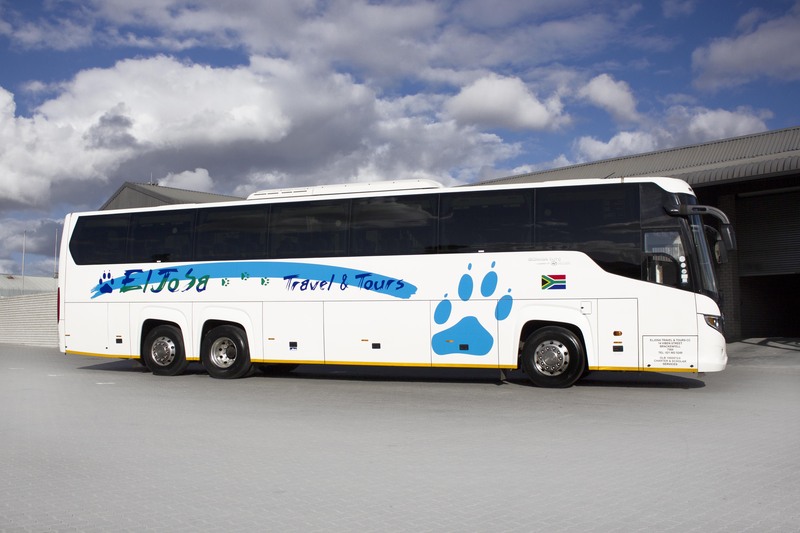 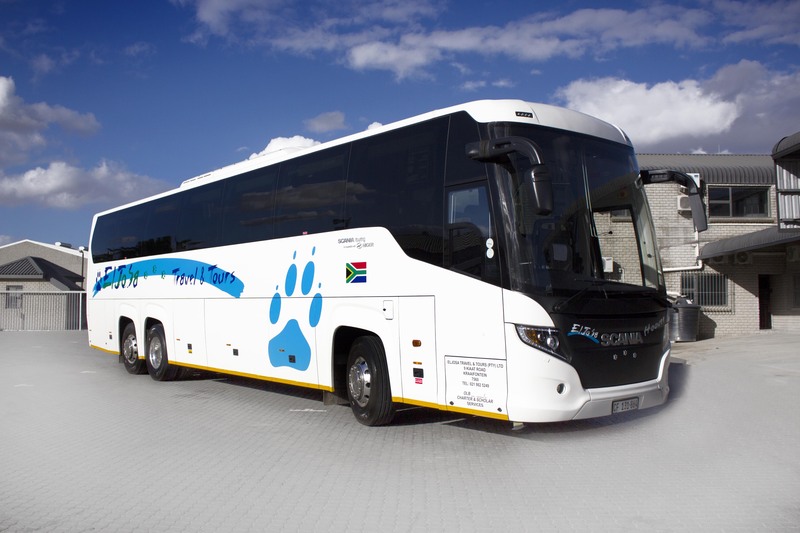 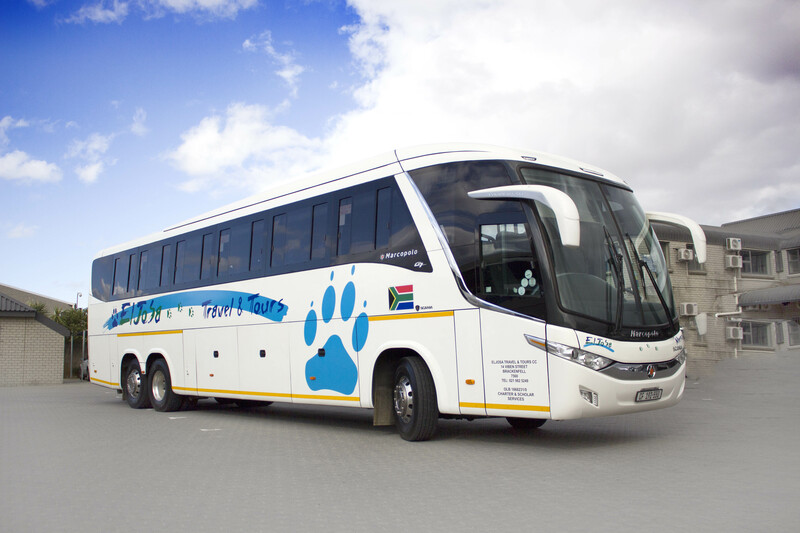 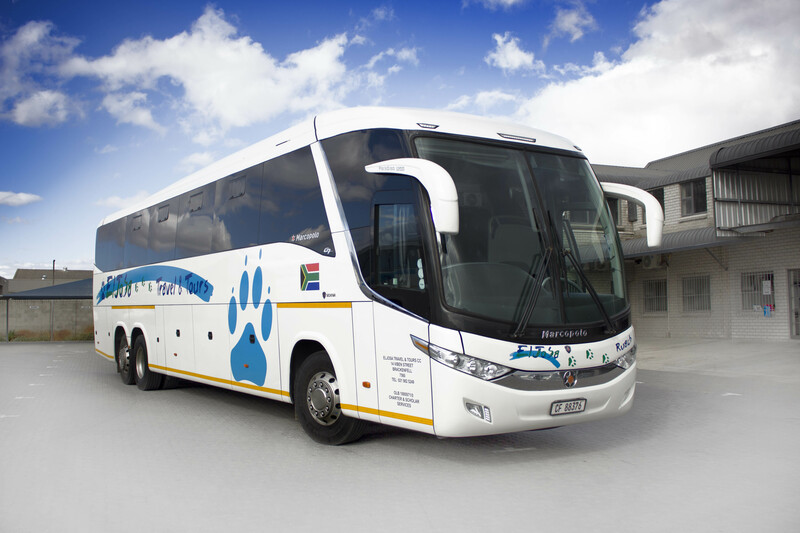 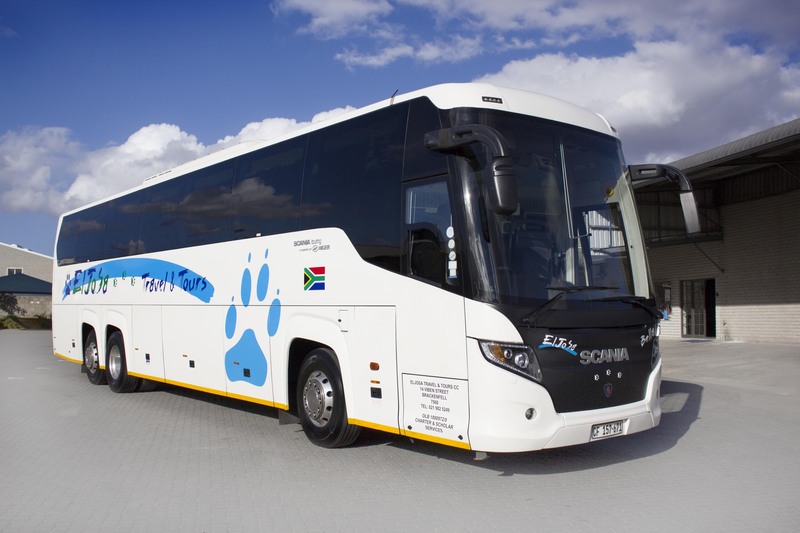 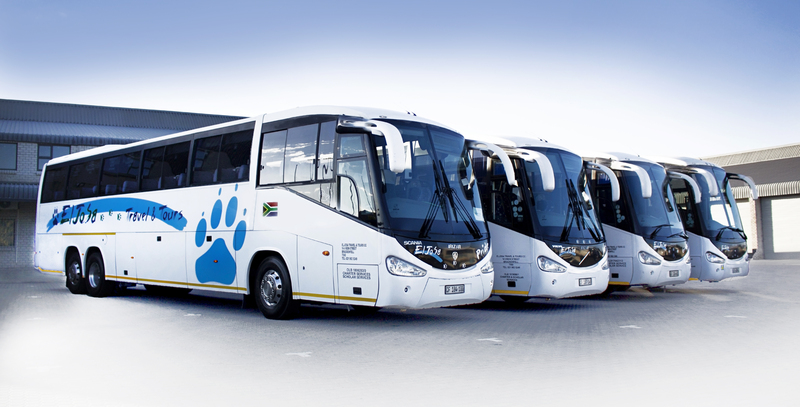 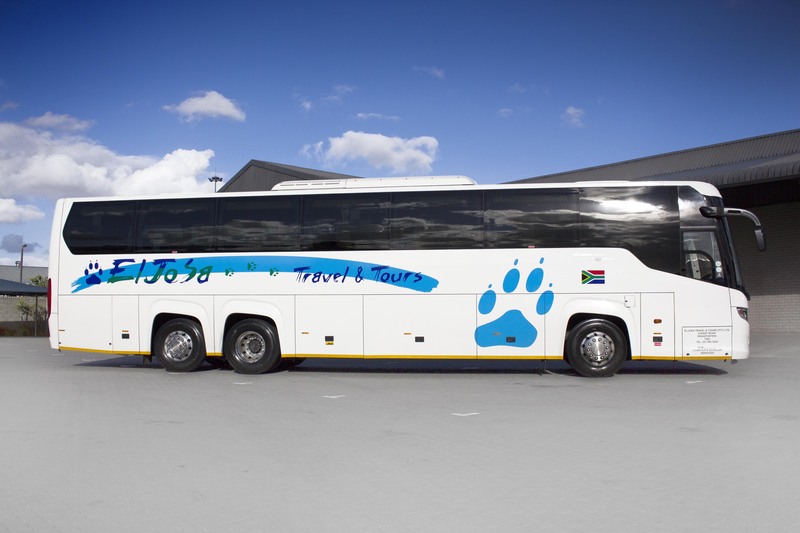 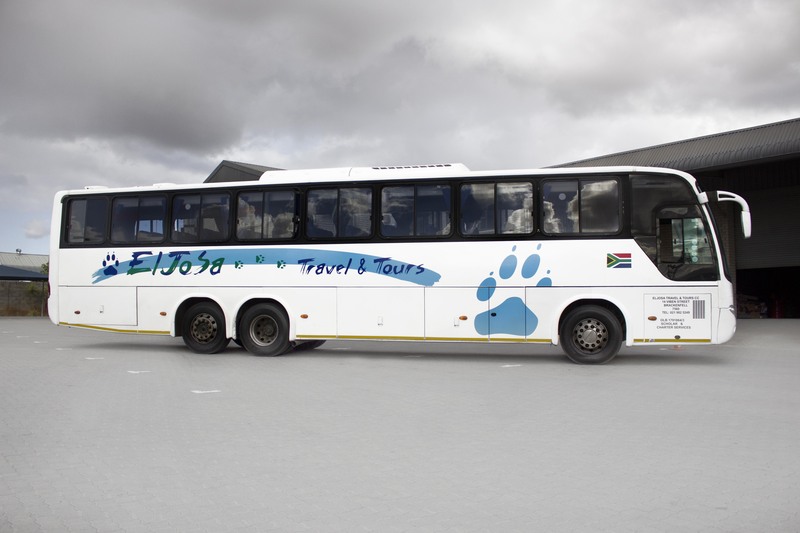 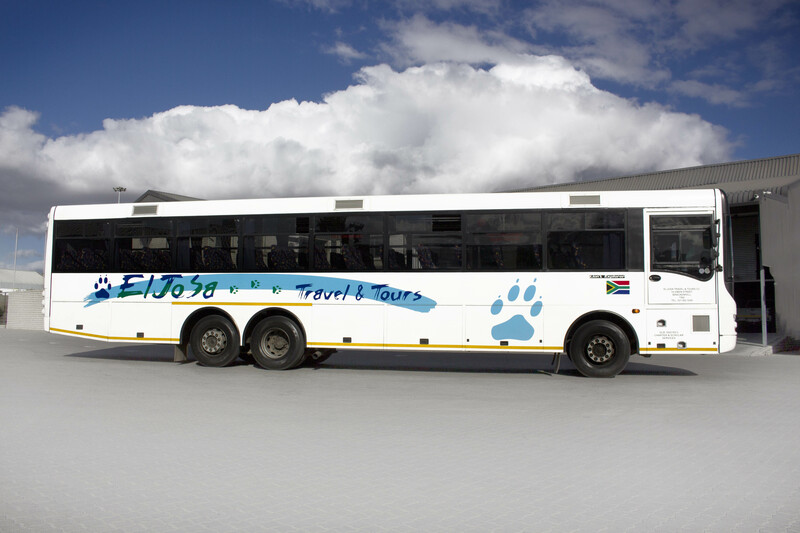 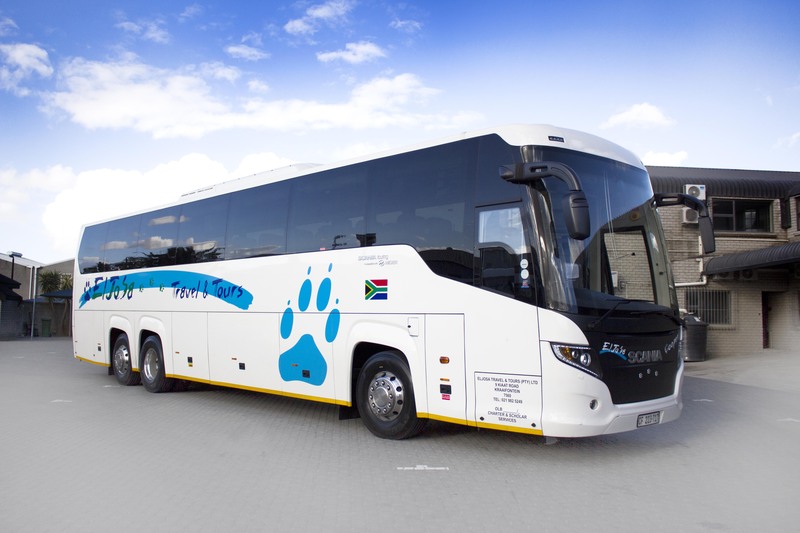 With a fleet of 43 coaches ranging from brands like Mercedes, Volvo, MAN and Scania, we offer a wide range of semi – luxury and luxury transport. 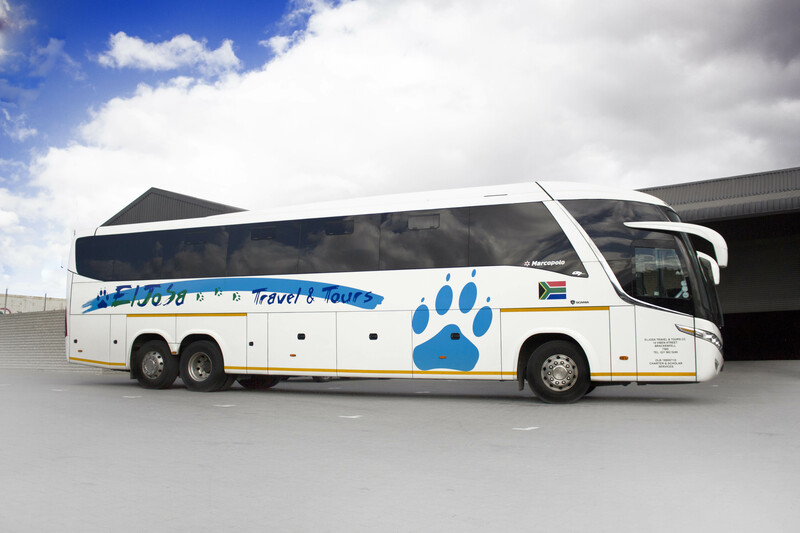 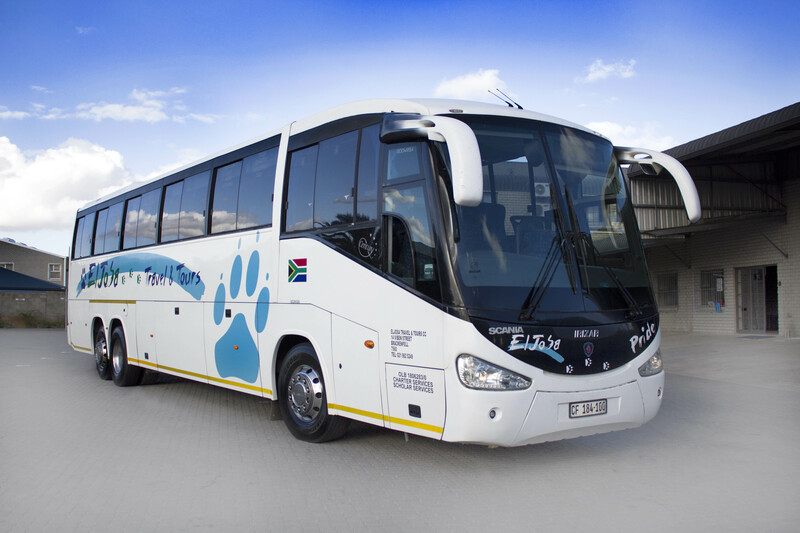 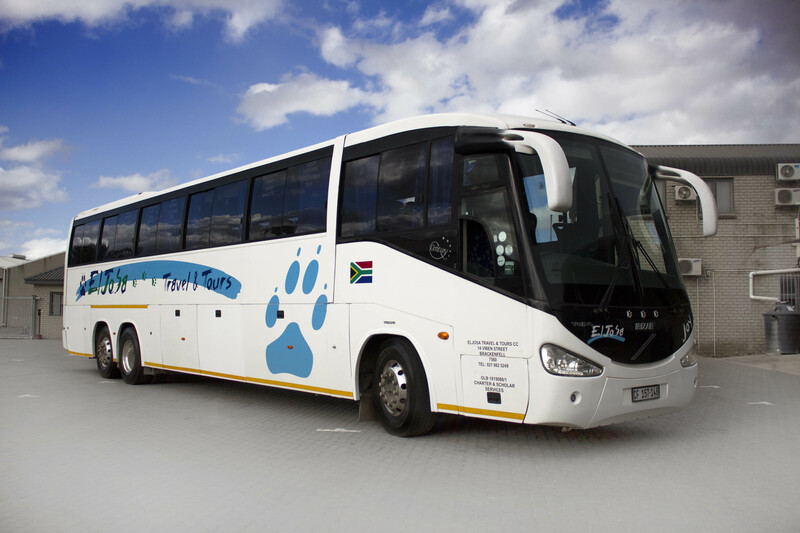 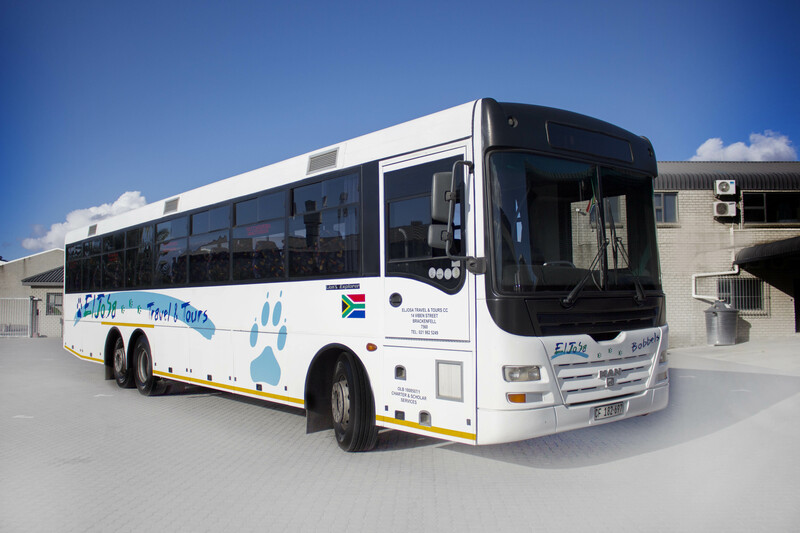 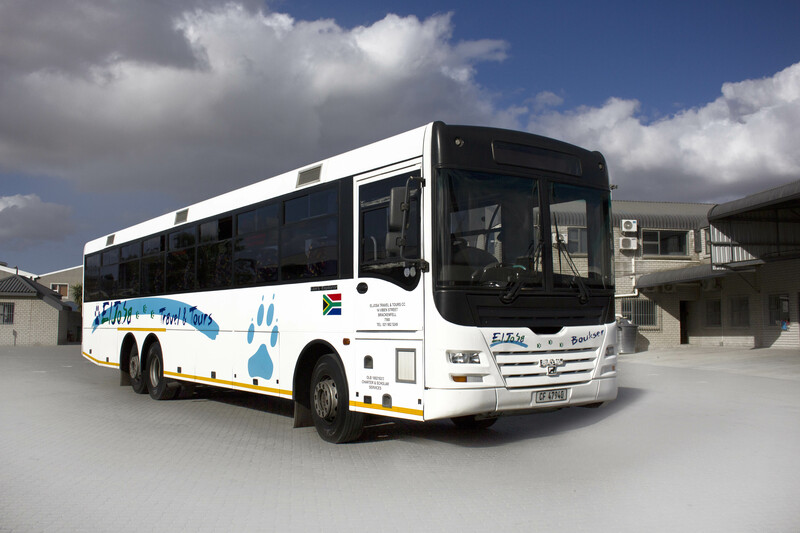 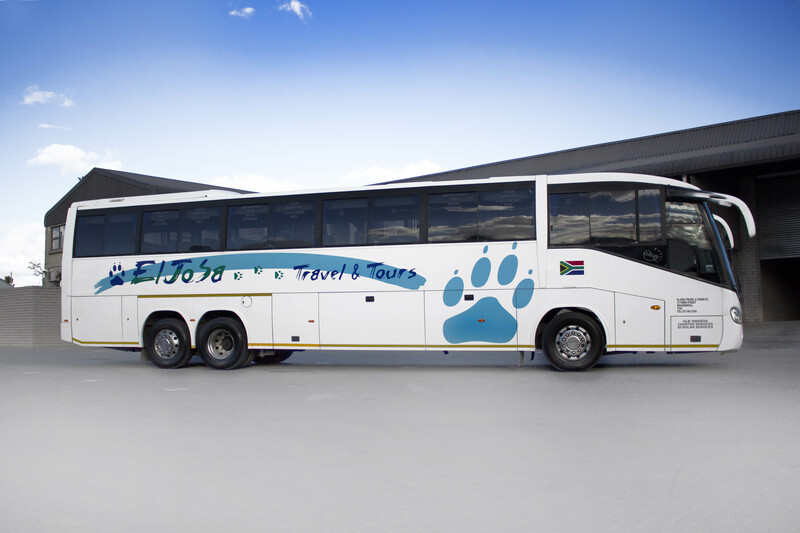 Each coach is named after a much-loved dog and the logo includes a paw print of the companion. 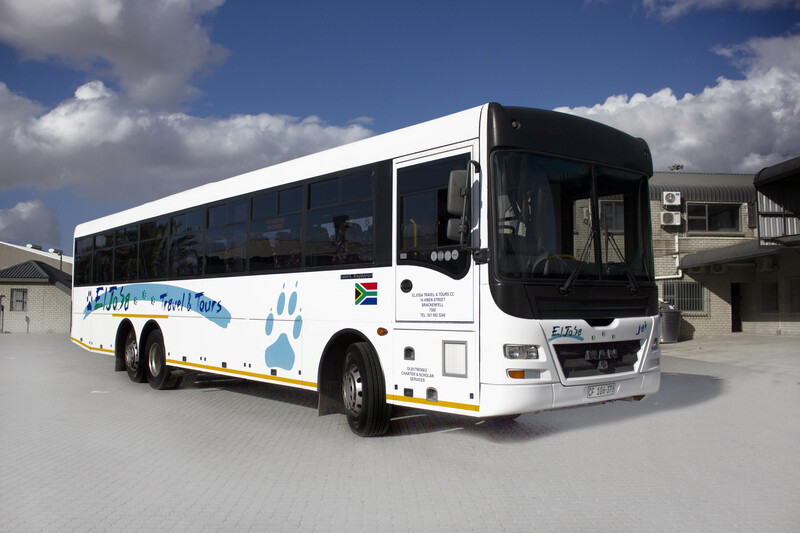 We are working with Road Safety of SA, South African Road Transport Agency and the Cross Border Road Transport Agency for licenses and permits. 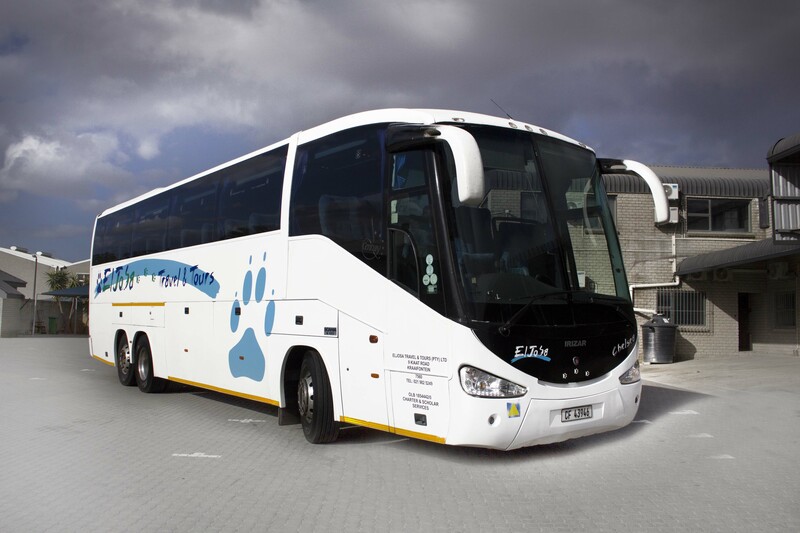 Our coaches undergo COF inspection every 6 months and are serviced according to the supplier records. 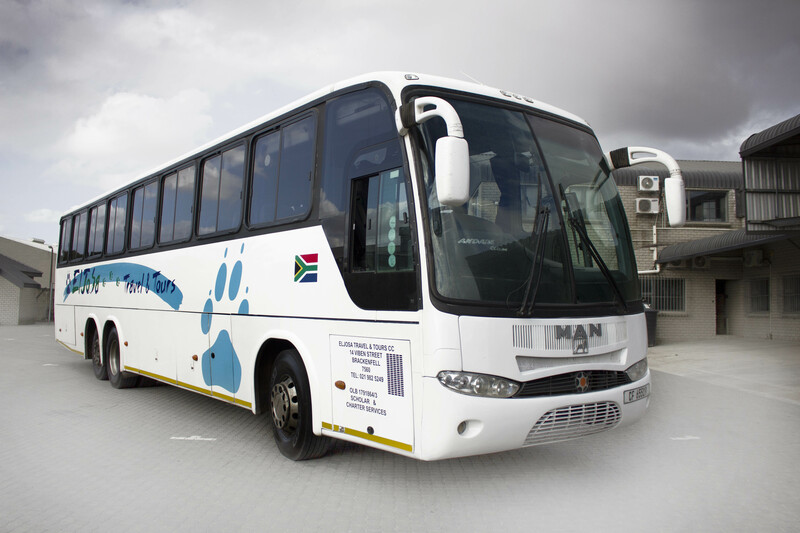 Maintenance is done with Mercedes Benz, MAN, Volvo and Scania. 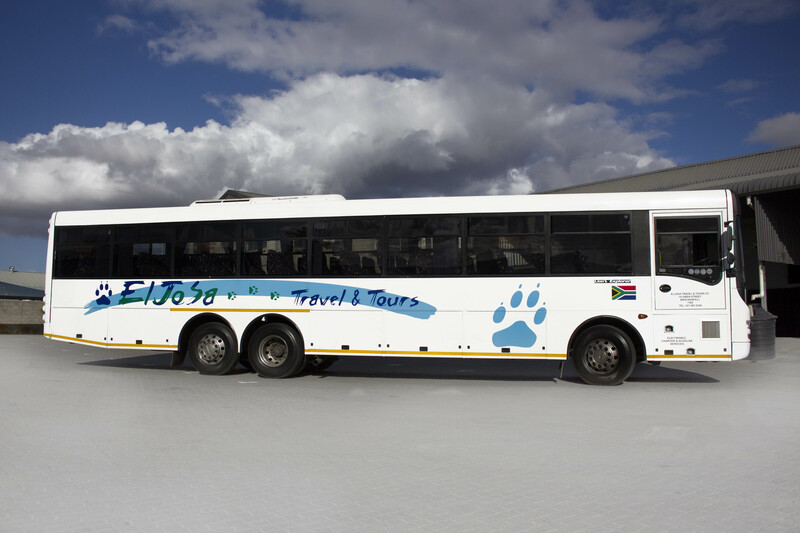 Safety checks are done before each trip. 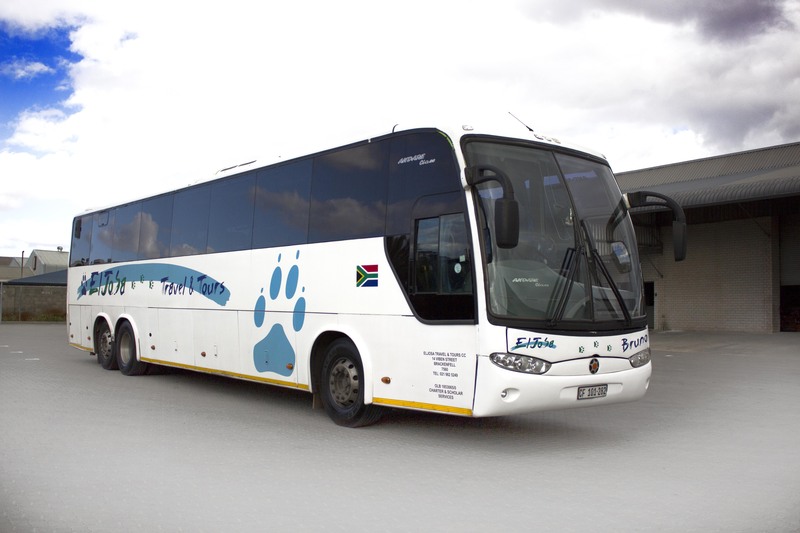 All coaches have safety belts and drivers undergo coach training with every new bus. 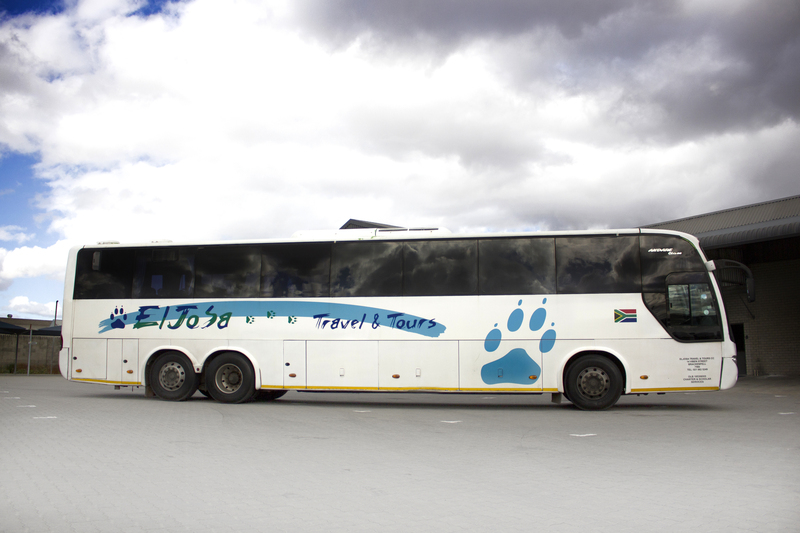 The drivers use a GPS system on every trip. 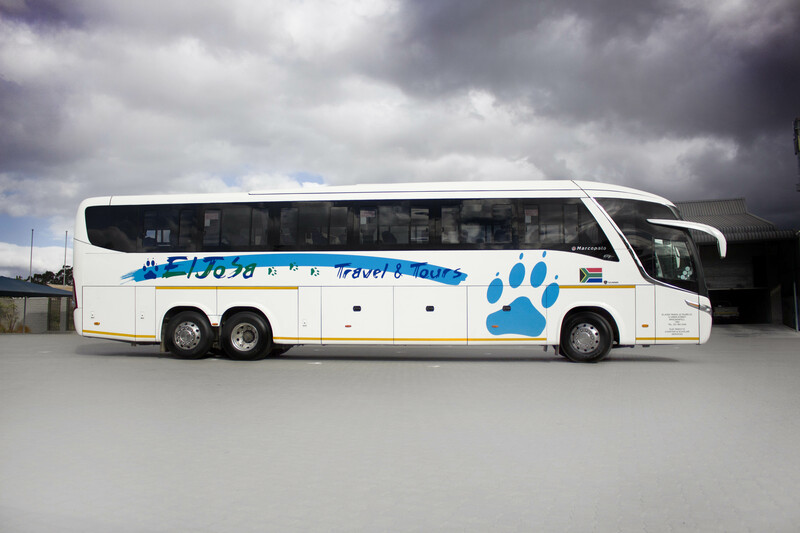 ElJoSa have a back up service throughout SA. 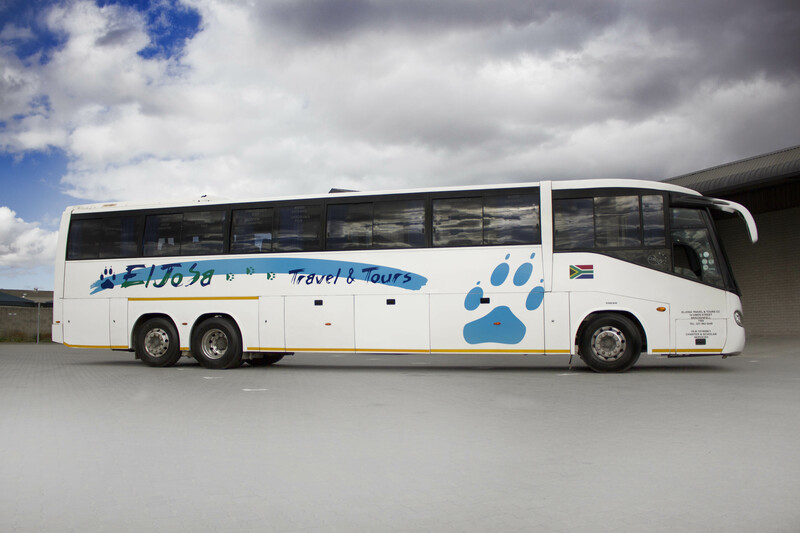 A security and control feature Geotab, a satellite tracking device, has been installed on all vehicles in our fleet.